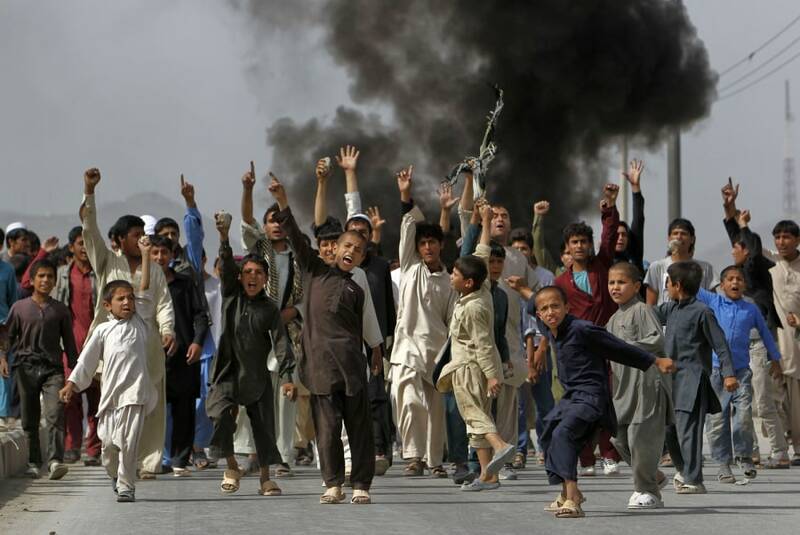 Afghan protesters shout slogans during a demonstration in Kabul on Sept.17, against a film that mocks the Prophet Muhammad. 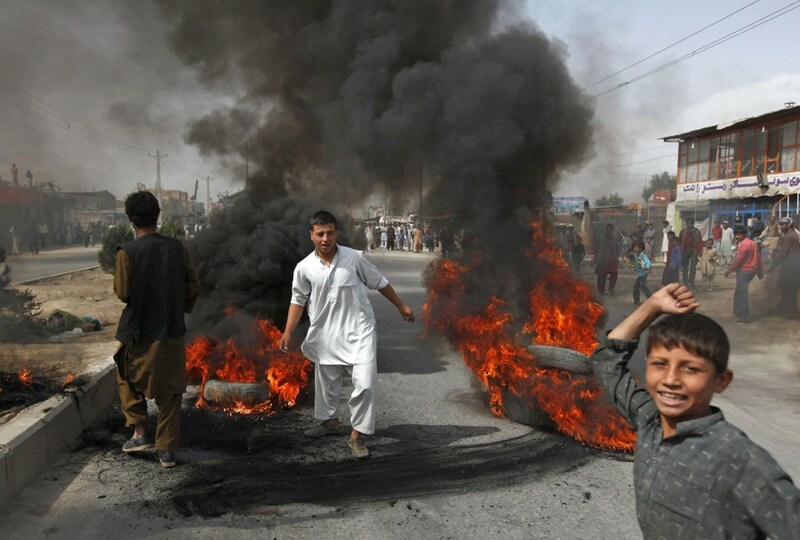 Afghan protesters burn tires in Kabul on Sept. 17. 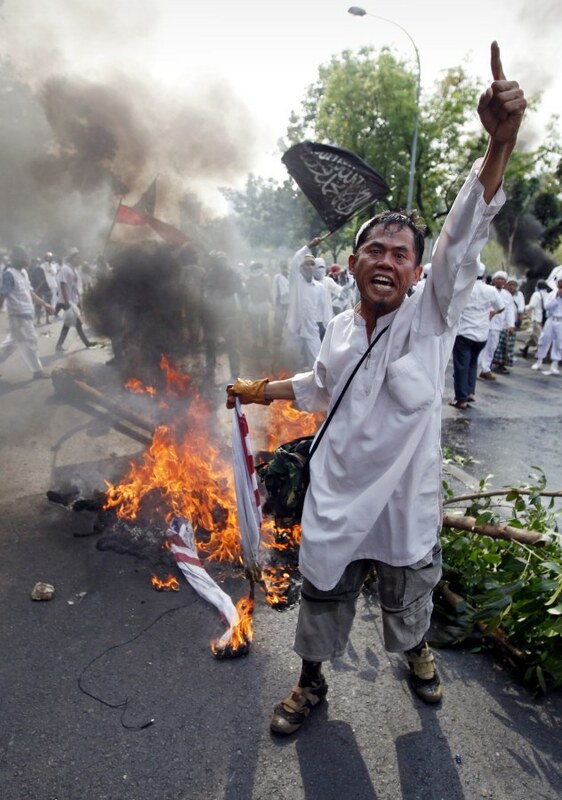 An Indonesian man holds a U.S. flag during a protest outside the U.S. Embassy in Jakarta, Indonesia, on Sept. 17. 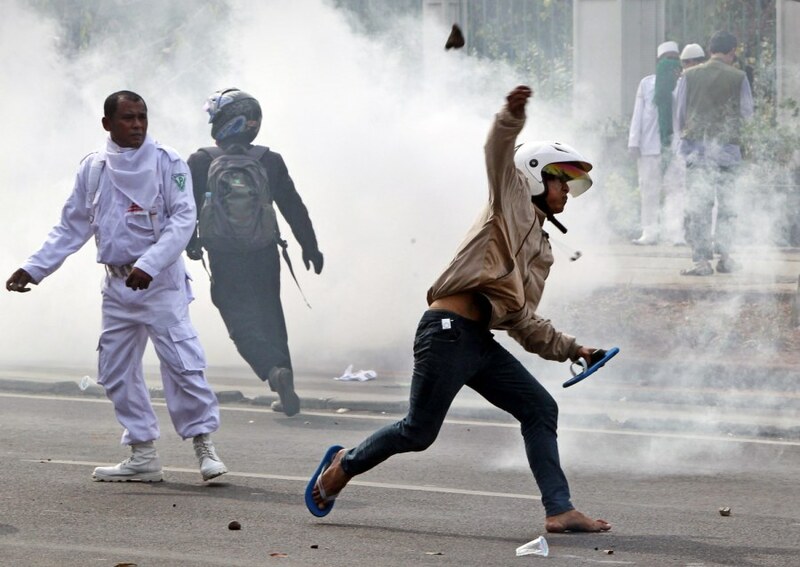 A protester throws a rock during a clash with the police outside the U.S. Embassy in Jakarta on Sept. 17. 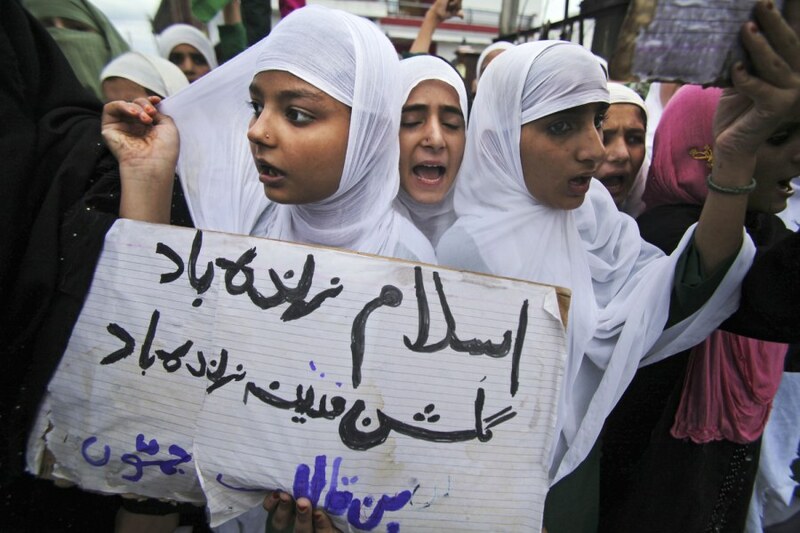 Indian Muslim girls shout slogans during a protest against a film that mocks the Prophet Muhammad in Jammu, India, on Sept. 17. 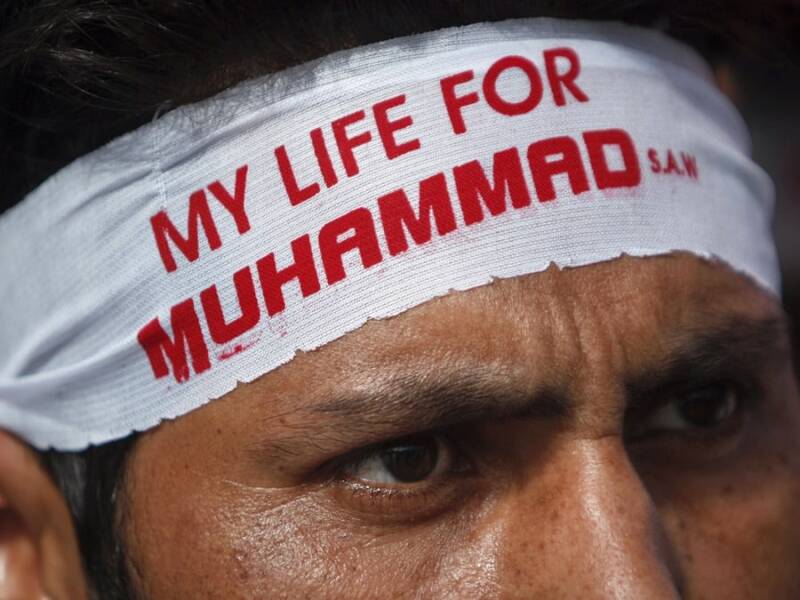 The placard in Urdu reads "Long live Islam."